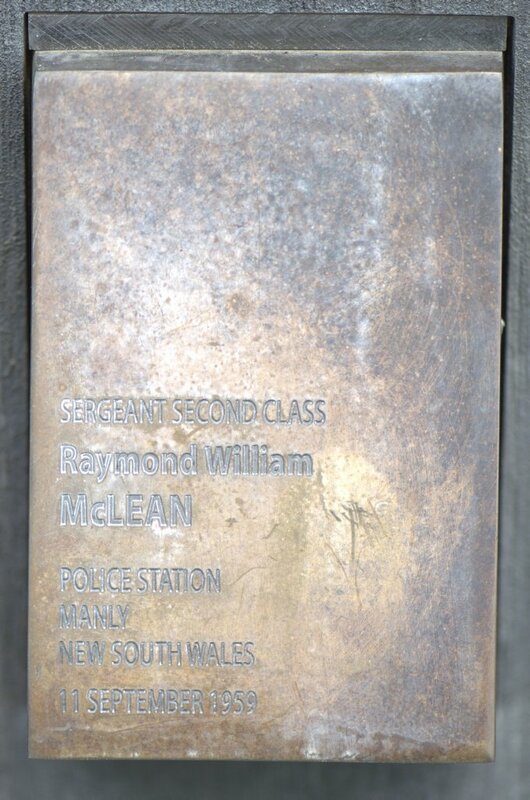 About 7.15pm on 11 September, 1959 Sergeant McLean met the Northern Wireless Car in the yard of the Manly Police Station to assist the car crew with a prisoner. The prisoner struggled violently while he was being taken into the station and continued to do so in the dock. Sergeant McLean assisted to secure the prisoner throughout his struggles. A short time later as the sergeant was walking across the station yard, he collapsed. He was taken by ambulance to the Manly District Hospital, however was pronounced dead on arrival. The cause of death was found to have been coronary artery disease which resulted in a heart attack caused by his exertions with the prisoner earlier that night. The sergeant was born in 1904 and joined the New South Wales Police Force on 27 March, 1929. At the time of his death he was stationed at Manly.